Organic Food Delivery Programs in London, Ontario – Are they Worth it? Researchers last year looked at the habits of 2,000 Americans and found over 60 years, the average person spends $70,500 on takeout. But there’s an entirely different side to takeout that doesn’t involve greasy fast food: Organic food delivery services, which provide an array of healthy foods and drinks including fresh produce, grass-fed beef, wild-caught fish, healthy prepared meals, and yes, even splurges like craft ales. Used to be you’d hit your local supermarket once or twice a week, stock up on groceries, maybe have a friendly conversation with your cashier, and be on your way. Life has changed dramatically over the past few decades, and nowhere does that prove truer than with grocery shopping. In past articles I’ve described the overwhelming variety of eggs that almost any supermarket offers in this article. In another article I quoted Marion Nestle, a PhD and nutrition chair at New York University, who felt absolutely baffled about buying fish in her book What to Eat. Choosing where to buy your food can become equally bewildering. Nowadays, you have tons of choices vying for your food dollar including warehouse stores like Costco, health food stores, farmers’ markets, and of course traditional supermarkets. Food shopping has become a massive business, and chief among those profit makers is food delivery. Retailers know you don’t always have the time, energy, or inclination to drive to a store, find a parking space, fight crowds, and stand in lines to buy groceries. They’re all too happy to do those tasks for you – for a price. Grocery delivery services have proliferated, including local grocers, mom-and-pop places, health food stores, and chains like PeaPod and FreshDirect. There’s big money in grocery delivery. Instacart, a grocery and retail delivery service, is valued at $3.4 billion. Amazon purchased Whole Foods for $13.7 billion last year, (2) and Amazon Prime now delivers Whole Foods groceries. What’s all the fuss? After all, for some people, grocery shopping can be fun. Saturday mornings feeling the firmness of avocados, talking with local farmers, and finding the freshest wild-caught salmon might be the highlight of your weekend. Perhaps you belong to your local co-operative (co-op) and volunteer your time for fresh produce. Or maybe a once-weekly grocery store outing allows you to compare prices, read labels, scope for weekly specials, and people watch. But food shopping isn’t fun for everyone. With our uber-busy schedules – nine-hour workdays coupled with a several-hour daily commute, weekend time demands like elderly parents and young kids, and juggling a social life and sanity – healthy food shopping can feel like a herculean chore. That’s where food delivery programs can come in handy. A typical transaction might involve browsing online and adding favorites to your cart, and voila, someone delivers those foods to your home within days (or perhaps, hours). Ideally, over time you’ll get familiar with what a online delivery business offers and you can “save” your cart to reorder favorite items, and you develop trust with the merchants. Practically hassle-free, with no lugging heavy grocery bags to your car or public transportation, and many food delivery companies offer stellar quality guarantees, sourcing their foods and drinks from local and artisan vendors: What’s not to love? When I talk about food delivery services here, I’m not talking about Peapod, Whole Foods, or other big-chain delivery services. Rather, I’m describing smaller, usually health-oriented stores who oftentimes source their produce, meat, and other foods from local farmers. Some of them describe in quaint, idyllic terms on their website about how these growers harvest their crops and farmers treat their animals. Mind you, some of this is marketing, but it can also be entertaining and informative to read where your food comes from. In London, Ontario where I live, we have a wide array of these services, and you can spend hours perusing their online stores for everything from kombucha to environmentally friendly toilet paper. There is no way I could evaluate every single produce, meat, meal, and other food option available at these delivery services, and by time you read this, those options might change. Rather than look at specifics, what I’ve aimed to do here is to give you a better overview about food delivery services. 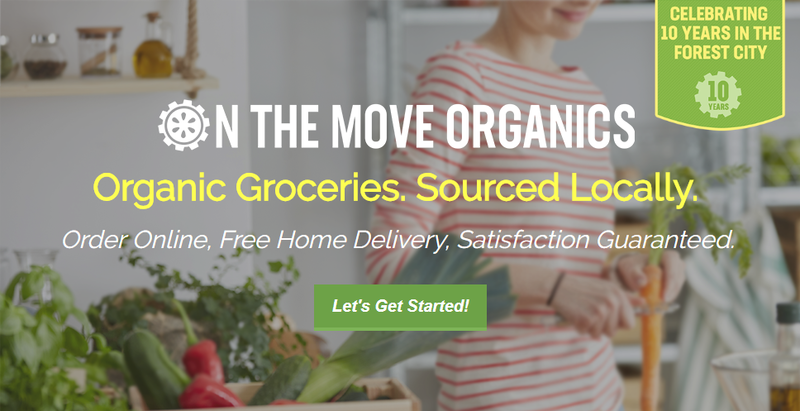 I use “organic” in the title, but not everything you’ll find with these grocery delivery services will be organic. To further complicate matters, organic meat is fine, but grass-fed beef and wild-caught fish are better. Whenever organic produce isn’t available, I aim to find conventionally grown food from trustworthy growers. Many of these smaller stores, though decidedly lower-key than the mega-delivery services, offer a wide range of foods, drinks, and supplements. It helps sometimes to know what you’re looking for; otherwise, you can get overwhelmed or make impulse purchases. Even though many (but not all) of these stores position their foods as healthy, that isn’t always the case. Looking at you, agave-sweetened cookies, sweet potato chips, and chocolate soy milk. While I’ve looked specifically at food delivery services in London, Ontario where I live, I’ve sought to make these suggestions universal. Not every city will have organic produce delivery services. If that’s the case in your city, I’ve provided some alternatives at the end. I find calling or emailing these companies helpful. Although many of them describe their vendors and how they support local farming, talking to a real person can elucidate many specifics and allow you to ask any other questions. Full disclosure: Nobody has paid me any endorsement fees with these local food delivery companies. I simply chose them because they were the top Google matches in London, Ontario. If I missed yours, please let me know in the comments and tell my readers why they would love your products. Let’s get the biggie out of the way: Cost. Prices do tend to be higher with food delivery services (though not always). Quality food prices fluctuate according to season, availability, and so many other variables, so saying grocery delivery is always more expensive than shopping at a brick-and-mortar store is a bit misleading. Prices do tend to be higher with food delivery services (though not always). Be aware many food delivery vendors charge for things like membership and/or delivery costs. These can increase or fluctuate, so your best strategy is to visit their webpage for the latest costs. 1. Not getting what you ordered. Everyone makes mistakes, and unlike grocery stores where you can visibly monitor what goes into your cart, grocery delivery occasionally means minor frustrations like ordering kale and getting red leaf lettuce. Your world won’t end, but it can be frustrating. Some places have very specific grocery delivery time windows. If you miss their delivery, or they arrive late (it happens), you may have to reschedule your delivery for a different date. 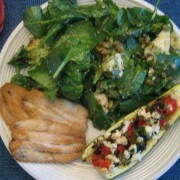 That could be a bummer if you’re expecting, say, fresh kale or wild-caught salmon for dinner. 3. 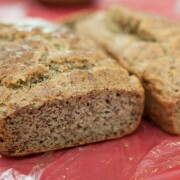 Receiving bad produce, inferior cuts of meat, and irregular foods. Nothing a quick phone call can’t resolve, though that can become a minor frustration that zaps the time you should have saved not having to go grocery shopping. 4. Navigating confusing or overwhelming websites. Overall, I was impressed with the ease of shopping at these London, Ontario grocery delivery services, though occasionally the sheer volume of offerings became overwhelming. 5. Putting everything in your cart and then finding they don’t deliver to your area. Hey, it happens. Check before you load to ensure they deliver to your neighborhood. 6. Being tempted with impulse buys. This occurs all the time in grocery stores, and grocery deliveries attempt similar strategies with special sales and whatnot to get you to add unnecessary purchases to your cart. Set a budget and don’t shop while you’re hungry! Convincing advertising, quaint descriptions about farms and growers, and pretty pictures can convince you whatever food delivery service you’re visiting sells absolute top-of-the-line produce, meat, and other products. Unfortunately, that’s not always the case. Word of mouth and reviews such as Yelp can give you a better understanding about the best food delivery options, but like restaurants, these reviews can be highly subjective. But conventional produce can be just as healthy if you buy from the right source. Smaller farms can’t always afford organic certification, and the companies that buy from these farms – the food delivery services you order from – have various ways about knowing whether they grow produce without pesticides. Conventional produce can be just as healthy if you buy from the right source. Instead of telling you what to buy, I’d rather give you the tools to make the correct grocery delivery decisions. Let’s look at some popular categories and how to make the best decisions with grocery delivery. Shopping for fruits and vegetables can be fun, if a little overwhelming. What a wide variety of produce, in pretty colors and cool shapes! While they sell other things such as ready-to-eat soups and salads, On the Move Organics also offers an impressive selection of organic delivery boxes including organic produce from locally sourced growers. One thing I appreciate about On the Move Organics is that you can buy many of their organic fruits and vegetables individually, though some of them are also sold by the pound or in containers. If you’re feeling more adventurous, check out the produce baskets at Mama Earth Organics, another wide-variety food delivery service. They claim their over 50 local farmers and artisans, all providing the most nutritious, delicious food while preserving farm land and biodiversity around Toronto. Among their produce options includes baskets. Their extra-large family basket ($100) contains an array of fresh fruits and vegetables that varies each week. Their Only Veg basket ($35) contains several cruciferous and leafy greens along with (the week I looked at it) carrots, sweet potatoes, and avocado (a fruit, not a vegetable). 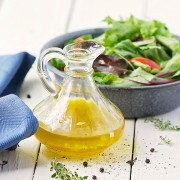 The flipside to these baskets is that you don’t get to choose what produce you get, but if you’re feeling adventurous and open to new foods – or if you feel baffled among the wide variety of vegetables at many supermarkets and don’t know where to start) – this makes an effortless option. Learn the Environmental Working Group’s (EWG’s) Dirty Dozen and Clean Fifteen to choose the most- and least-contaminated produce if you’re not buying organic. Always choose in-season produce whenever possible. It will be fresher and probably less expensive. Make those “mystery” baskets an adventure. You’ll probably discover some new favorite vegetables and fruits along the way! Check out my article about whether organic produce is really worth it. Nebulous terms like “natural” and “sustainably raised,” sourcing problems, and animals that aren’t fed their natural diet are among the reasons buying meat and fish can become so tricky. I wrote this article to dispel that confusion and help you make smart choices. Integrity and trust become crucial when you’re buying naturally raised and organic beef, pork, poultry, and seafood. 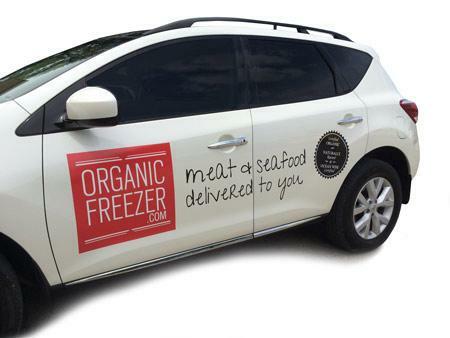 Organic Freezer, a meat delivery service that delivers within the London, Ontario area, has you covered at fairly reasonable prices. Organic Freezer focuses on family-owned operations that are invested in their animals and their land. The organic certification process can pricey, so they also carry meat and poultry from regional family-run farms that adhere to traditional farming practices. 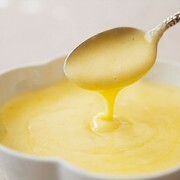 They also work with fisheries that comply with sustainable fishing methods and are Ocean Wise Certified. Being Ocean Wise certified ensures long term health and stability of each species as well as the greater marine ecosystem. You know exactly what you’re getting and where it’s coming from. Mislabeling and other marketing tactics can make buying healthy confusing, and that goes triple for fish. Even when you think you’re buying wild, that isn’t always the case. Can you see what I mean about how buying fish can become confusing? Wild-caught fish is one of the planet’s healthiest foods, but things like mercury especially in bigger fish and all the horrors of farm-raised fish make plunking down your fish dollar – and fish isn’t cheap, period – a real dilemma. Really spend the time to get to know where stores get their meat and fish, including sustainability practices and how animals are treated. Beware some of a website’s sales copy might be marketing hype (they want you to buy from them after all), so don’t hesitate to dig a little deeper. Canned and pre-cooked wild-caught fish makes a great, usually less expensive, and certainly more convenient alternative to uncooked fish. I love pre-cooked, seasoned wild-caught salmon. I throw it over some leafy greens, and bam, instant meal. Grass-fed beef, wild-caught fish, and other healthier meats can be expensive. Offset their cost by minimizing portion size and load up on more vegetables and non-gluten starches. Foods with a longer shelf life – those that don’t require refrigeration or freezing and that you can store for weeks or months – are usually more cost-effective purchased in bulk. Mind you, some grocery delivery services in London, Ontario carry these essentials (just as they would in your area), but I find purchasing them in large amounts and storing them well means you don’t need to order them as often and save money. Sometimes you don’t want to prep a meal, but you aren’t keen on ordering takeout or eating out. Fortunately, you can find healthy meal delivery with pre-prepped ingredients that you simply warm and heat. One such option is Fresh City Farms, which has something for everyone. Their Fresh Meal bag comes with three meals for two people. Whether you’re a pescatarian, omnivore, vegetarian, vegan, gluten-free, or some combination thereof: Fresh City Farms meals come vacuum-sealed for freshness so you can simply heat and eat. They also offer a variety of prepared salads, soups, smoothies, snacks, and meals like Pulled Pork & Cabbage with organic pork shoulder that’s gluten free, dairy-free, and served in a cool jar. These pre-prepared meals come in handy when you work late hours or want to entertain without the mess and fuss. Order a few, store in the fridge, and you’re good to go for days. As you can see, I’ve barely skimmed the surface about grocery delivery, though these strategies hopefully provide enough information to navigate your own online order. 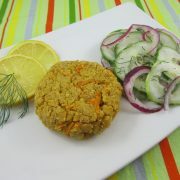 In London, Ontario, we have a wide array of healthy grocery options for delivery. I realize that isn’t the case in every city. If you prefer delivery over shopping, here are some of my favorites. Again, worth mentioning: I have no affiliation with any of these companies. Vital Choice Seafood – they offer a fantastic array of wild-caught fish but also things like dark chocolate, grass-fed beef, blueberries, and even supplements. Thrive Market – a great place to buy organic bulk essentials at great prices. They have a membership fee, though you can usually get a free trial. Produce – while places like FreshDirect and PeaPod sell organic produce, I’d rather you buy local because it might possibly be fresher and you’ll be supporting a local business. A quick Google search will probably reveal local options that deliver organic fruits and vegetables. If you can’t find any, you can always utilize one of the above delivery services or even your grocery store, since many supermarkets now have online ordering for at-home delivery. Are organic food delivery programs worth it? It depends. For convenience and selection, absolutely. If you’re on a tight budget, shopping sales and buying in-season can help you stretch your dollar without compromising quality. 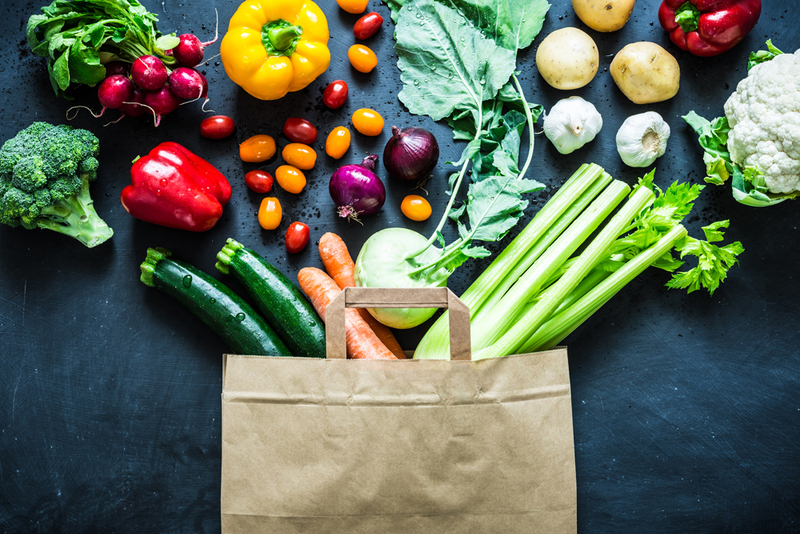 Convenience comes at a cost, but if grocery shopping feels like a massive chore or you just don’t have time to do it, grocery delivery can be a smart option. Shopping sales and buying in-season can help stretch your dollar without compromising quality. If you live in or around the London, Ontario area and want to learn about my favorite organic grocery stores and other top food finds, check out my article on 9 Great Health Food Stores in London, Ontario. For London, Ontario grocery delivery services: Tell my readers why they would enjoy your service and products. London, Ontario readers: What grocery delivery service did I miss that your favorite? For all my readers outside London, Ontario: What grocery delivery service would you recommend and why? Do you find these services more expensive than conventional grocery stores? https://www.drhardick.com/wp-content/uploads/2018/05/FeatIMG_Organic-Food-Delivery.jpg 667 1000 Dr. B.J. Hardick https://www.drhardick.com/wp-content/uploads/2018/07/ximg_DrHardick_logo.png.pagespeed.ic_.oNZjRcGWRC.png Dr. B.J. 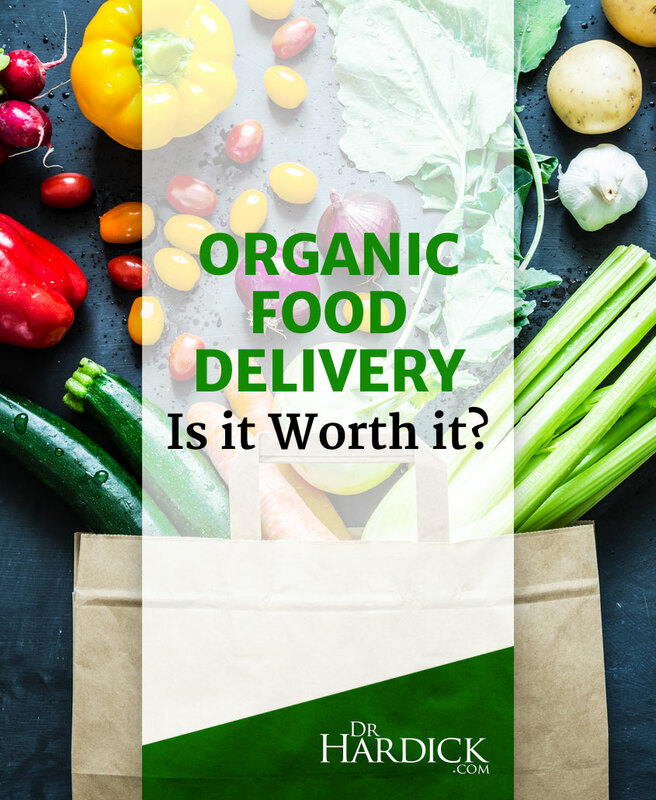 Hardick2018-05-29 07:00:122018-05-29 13:15:33Organic Food Delivery Programs in London, Ontario – Are they Worth it? 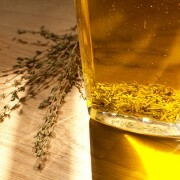 Cooking with Healthy Oils - Is it time for an oil change?